Defense Minister Moshe Yaalon signs an order declaring the Islamic Relief Worldwide, a Hamas funding source, illegal. Defense Minister Moshe Yaalon on Thursday signed an order declaring the Islamic Relief Worldwide (IRW) group illegal. Based on the order, the organization can no longer raise money or distribute money in Israel or anywhere in Judea and Samaria. IRW, said Yaalon, is a chief fundraising front for Hamas. Posing as a "charity," the organization claims to raise money to assist refugees, orphans, and the needy, said Yaalon, but most of its money ends up in the hands of Hamas, used either to fund terror attacks or pay terrorists. The group has offices around the world, raising money from Muslims in Western countries to fund its activities. The group's main office is in the UK. In 2006, the Israel Security Agency (ISA) and the Israel Police arrested Iyaz Ali, a Pakistani-born British national, who was an assistant director of IRW's Gaza branch. Files found on his computer showed clearly that IRW funds were being used to fund Hamas terror activities. 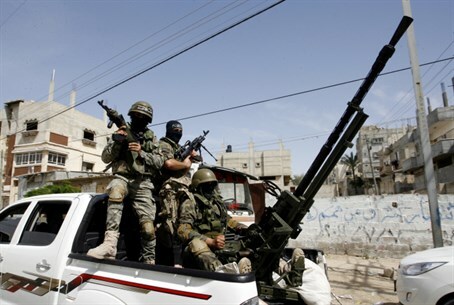 According to Israeli security officials, the IRW’s activities in Judea, Samaria and the Gaza Strip are carried out by social welfare organizations controlled and staffed by Hamas operatives. The intensive activities of these associations are designed to further Hamas’s ideology among the PA Arabs. Speaking Thursday, Yaalon said that IRW was “another source of income for Hamas. We do not intend to allow this organization to fund terror attacks against Israelis. This is another in a series of actions we are taking against Hamas in Judea and Samaria, whose purpose is to smash the abilities, civil infrastructure, and membership of the terror group,” he added. It comes as Israel undertakes a large-scale crackdown on Hamas over the abduction of three Israeli students last week, which the Israeli government says was carried out by a Hamas cell in the Hevron region.